The choir of All Souls New London, the UUA Breakthrough Congregation in New London, Connecticut, celebrates flower communion in their modern sanctuary. The congregation’s old church is visible through the window (© Ilene Perlman). See more photos of All Souls (flickr.com/uuworld). There’s enough room for all 111 children and youth and their religious education teachers to stand side by side at the front of the sanctuary of All Souls New London, a Unitarian Universalist congregation in New London, Connecticut. The space is wide enough for everyone to face the congregation from the stage, a long, low platform framed by a vivid skyscape of the horizon at dawn. The entire congregation participates in the Religious Education Sunday service. Their minister, the Rev. Carolyn Patierno, greets the congregation as “souls,” and later steps off the stage in the middle of the service to play the flute with a congregational ensemble. The youth hold an “energy break,” hoisting a volleyball net and heaving a rainbow-colored beach ball to the seated congregation, which enthusiastically bats the ball about until the youth recapture it. The entire service would have been impossible in All Souls’s old building, a brick church built on a ledge with almost as many steps as seats in the pews. Built in 1910, that church is long and narrow with a high pulpit and no room to expand. In 2006, the growing congregation moved out of their historic home into a new location: a one-time car dealership on the other side of the church’s parking lot. At the same time, All Souls opened space in its old building to the New London Homeless Hospitality Center, a daytime shelter. But All Souls didn’t just allow the Hospitality Center to occupy unused space. The congregation installed showers in their new building so that the homeless guests could bathe. “They decided to engage people’s bodies and invited people into the heart of their space,” said the Rev. Sue Phillips, district executive for the Unitarian Universalist Association’s Clara Barton and Massachusetts Bay districts. All Souls can take these sorts of risks because over the past decade the congregation has developed a tradition of “deep listening” and respect for their minister, their leadership, and each other. “The people know that they are ‘souls’,” Phillips observed. “Something as simple as how they refer to themselves is critical.” The congregation’s attitudinal shift, and the growth that has followed, are among the reasons the UUA has named All Souls a Breakthrough Congregation. Each year the UUA’s Growth Strategies office recognizes congregations that have “broken through” barriers to achieve exemplary goals; UU World is profiling each one. Part of that new culture has been taking risks and being bold enough to experiment. All Souls’s first big experiment started in 2001, when the congregation called a new seminary graduate, the Rev. Carolyn Patierno, as their minister. Within a week of her arrival, the September 11 terrorist attacks happened, and Patierno took charge of helping the community—located just a few hours from New York City—heal. Joel Ackerman, All Souls’s membership chair, remembers standing on the steps of the church with Patierno three days after the attacks, singing from hymnals. “It was a powerful time for us,” Ackerman said. Roughly two-thirds of All Souls’s current members arrived after 2001; membership has grown steadily since then from 135 members to 255 today. “More people came through the door, and they stayed,” said Clare Evento. With the congregation growing, All Souls began looking for a new home. Like many UU congregations in New England, they struggled for years with their building, reluctant to leave a beautiful but inadequate space. The group had considered moving to a location in the suburbs with easier parking and less contact with a city with long-term economic ills. “New London has all the problems of a major urban center in a city of 27,000,” said George Dowker, All Souls’s outgoing president. But in the end, All Souls voted to stay in the city. “We felt like our history was here,” said Patierno. It took four years to find their new home, and they found it in a surprising place. On the other side of the church’s parking lot lay a former car dealership, vacant and neglected for eight years. “There were mushrooms growing a foot high inside,” said Nick Evento. “But Carolyn saw the possibilities.” They decided to buy it and keep their old building for additional space. In six months, the congregation had cleaned and renovated the building. The single-story structure has no stairs to climb, making the building accessible to all. On Sunday morning members walk by open, airy religious education classrooms with big windows on the same floor as the sanctuary, instead of trudging up and down two flights of stairs to take children to a distant basement classroom. The nursery for the youngest children is right next to the sanctuary, and there’s also a soundproofed “calming room” with windows to the sanctuary for children—or adults—who need some time out during the service. The layout makes the religious education program a central part of the church. As the congregation was preparing to move, the city of New London was undergoing financial upheavals and dealing with a growing homeless population. To save money, the city disbanded its social services department in 2005. The city’s clergy organized the Homeless Hospitality Center, which needed a location in which to provide daytime hospitality. * Patierno was serving as president of the Homeless Hospitality Center at the time, and more than two dozen All Souls members were volunteering there. “There was enough understanding of the problem to allow this ministry to move in,” said Patierno. All Souls is proud of being “a beacon, not a bunker church,” Tavormina said. But the church doesn’t just look outward. At the end of the service, the entire congregation stands and joins hands, and Patierno leads a call and response: “Who are we?” “All Souls!” “We are!” “All Souls!” The souls at All Souls know who they are, what they’re trying to do, and how they’re going to do it: together. An earlier version of this article, which appeared in the Fall 2012 issue of UU World, incorrectly implied that the Homeless Hospitality Center had been a program of the City of New London. The Center grew out of a religious nonprofit that had worked with the city’s social services agency. Meg Muckenhoupt, a member of the Follen Church in Lexington, Massachusetts, has written for the Boston Globe , Boston Phoenix , Boston Magazine , and the Time Out Boston guide. 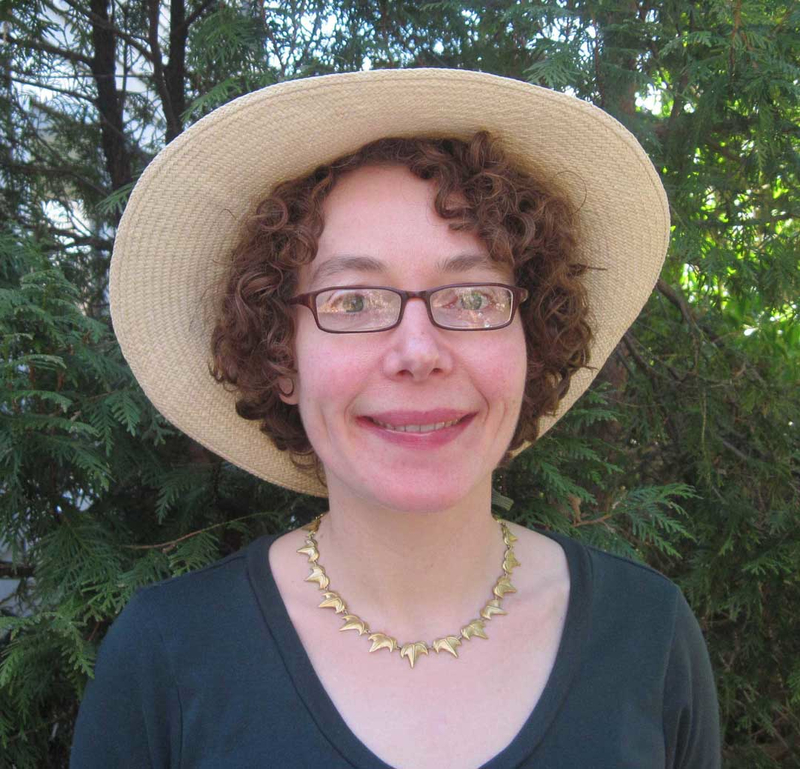 She is the author of Boston’s Gardens and Green Spaces (Union Park Press, 2010) and blogs at Green Space Boston .